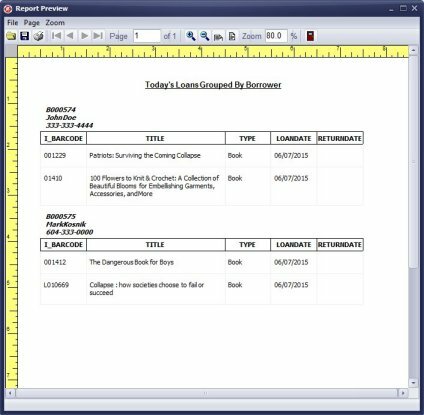 Help, how to topics > Print reports > Predefined reports. Run from the Library Administrator window (all report definitions will be used: layout, selected fields, sort, view). How to save all report settings? 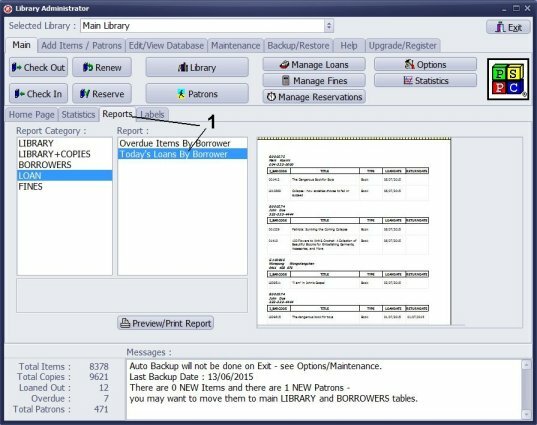 Run from the Library, Borrowers, Manage Loans, Manage Fines windows (only layout and selected fields definitions will be used). The view, if saved in the report, will not be used. 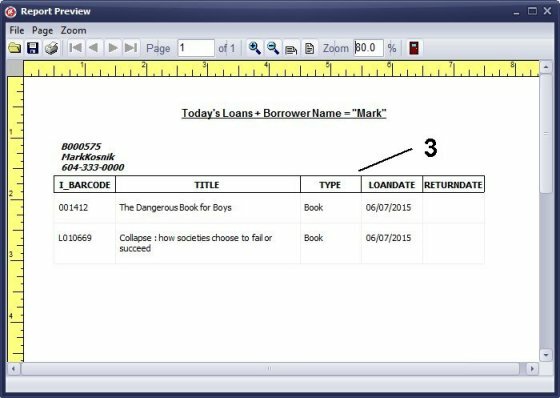 In this case the predefined report uses the current view that you applied to your data. To run a predefined report, find it on the Reports tab in the Library Administrator window. In this case Today's Loans view combined with the search: Patron Name = "Mark" will be used. 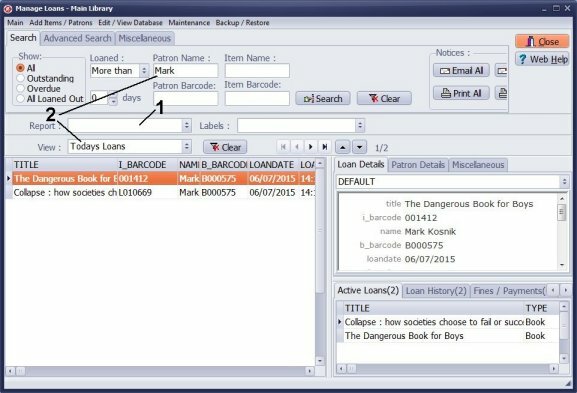 Comment: After using the Handy Library Manager for several weeks I do want to say that overall I am pleased with the program and how it works. The program is easy to learn and a number of the reports that come with the program have saved me a great deal of time. I am still learning and exploring various reports and features.